“St Patrick's Cathedral, Cashel, Co Tipperary, interior - south transept, view of Cormac's Chapel,” Gothic Past, accessed April 22, 2019, http://www.gothicpast.com/items/show/1383. Photograph by Roger Stalley. 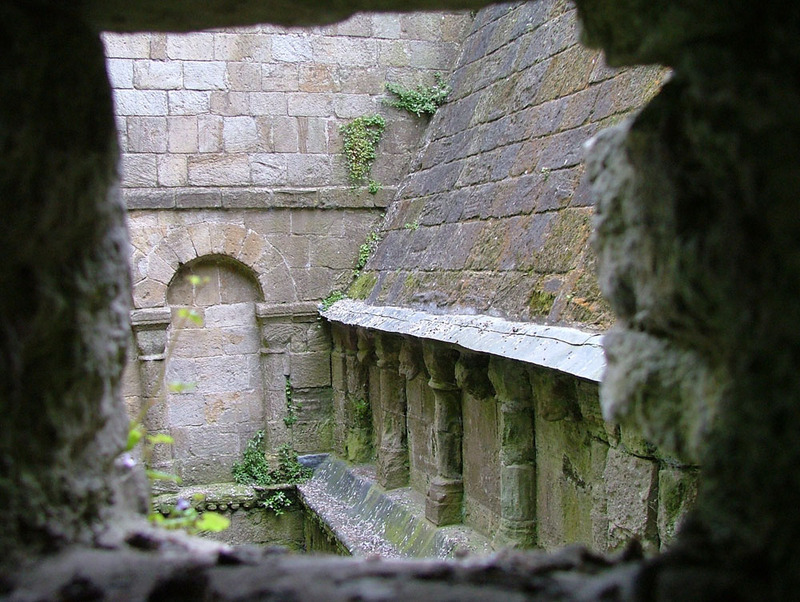 A view from the south transept out to the small courtyard space formed between the later cathedral and Cormac's Chapel.